​Welcome to the JZTrainedme Fitness Ruck Club! 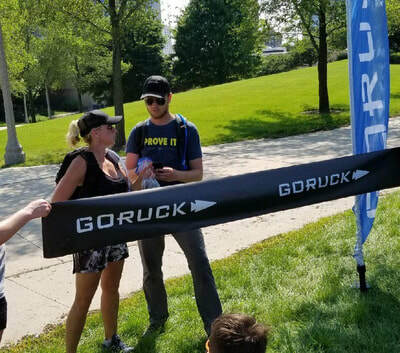 ​JZTrainedme Fitness is honored to have been selected by GORUCK to be the first officially recognized Ruck Club in DuPage County, Illinois, with a mission to inspire, promote and support rucking and stronger communities. Becoming a member of the JZTrainedme Fitness Ruck Club affords you the opportunity to reap all the health benefits of rucking plus an opportunity to meet new people, give back to your community and get awesome monthly "Ruck Club Member Only" discounts for GORUCK events and gear as well as participate in monthly challenges exclusive to ruck clubs only where you can earn customized patches! The JZTrainedme Fitness Ruck Club is open to anyone who's willing to give it a try...so tell your family, your friends, your co-workers, your workout partners etc...the more ruckers the merrier! Keep reading to find out how to join the club! GORUCK was founded in 2010 by Jason McCarthy, a former Special Forces Green Beret. The idea for GORUCK was inspired while Jason was serving our country. He paired his desire to build gear that was durable and reliable enough for the military with gear that was practical enough for civilian life and the GR1 was born. The full circle was completed by offering rucking events and gear to communities across the nation and the world. The rest of Jason's (and Monster's) story is motivating and inspiring and can be read in it's entirety by visiting the GORUCK website. Thank you for your service Jason and thank you for creating the world-wide GORUCK community! Rucking is the foundation of Special Forces training. Green Berets are well versed in shouldering heavy rucks through cities, mountains, jungles and deserts, in war and in peace -- alone when they must, together whenever possible. Rucking is marching with a rucksack while conditioning yourself to travel long distances on varied terrain and carrying weight for the express purpose of physical training. Historically, rucking is the most simple and effective way to prepare soldier's for duty and it is also an effective way to improve aerobic conditioning, strength, posture, and mental health. Rucking requires strength, endurance, and character -- and builds it too! Besides the sense of accomplishment, there are many benefits to rucking on regular basis. Helps Build Strength - When rucking, your shoulders, traps, core, back, hips, glutes, legs and stabilizer muscles will get stronger. Effective Cardio - You burn more calories rucking than walking, because moving the extra mass requires more energy to be expended. For example, on average, you can burn up to three times the calories when rucking as opposed to non-ruck walking. Less Joint Pain - Rucking is safer on your joints compared to running because it’s lower impact but still just as effective. If you enjoy running but you have bad knees or a bad back, rucking is definitely for you! Rucksacks Are Multi-Purpose - Besides wearing the rucksack on your back, it can also be used for a variety of strength training exercises including overhead squats, front squats, lunges, overhead presses, curls and tricep extensions. For the most part, anything that can be done with a medicine ball, minus a slam, can be done with a ruck. Gets You Outdoors - Although ruck training can be done indoors, the purpose of rucking is to get you active and outdoors. You can ruck in your neighborhood, your local forest preserve, hit the hiking trails, climb some mountains...the sky is the limit. Rucking is a perfect way to simultaneously build strength and aerobic capacity. The best part is, everyone can do it. 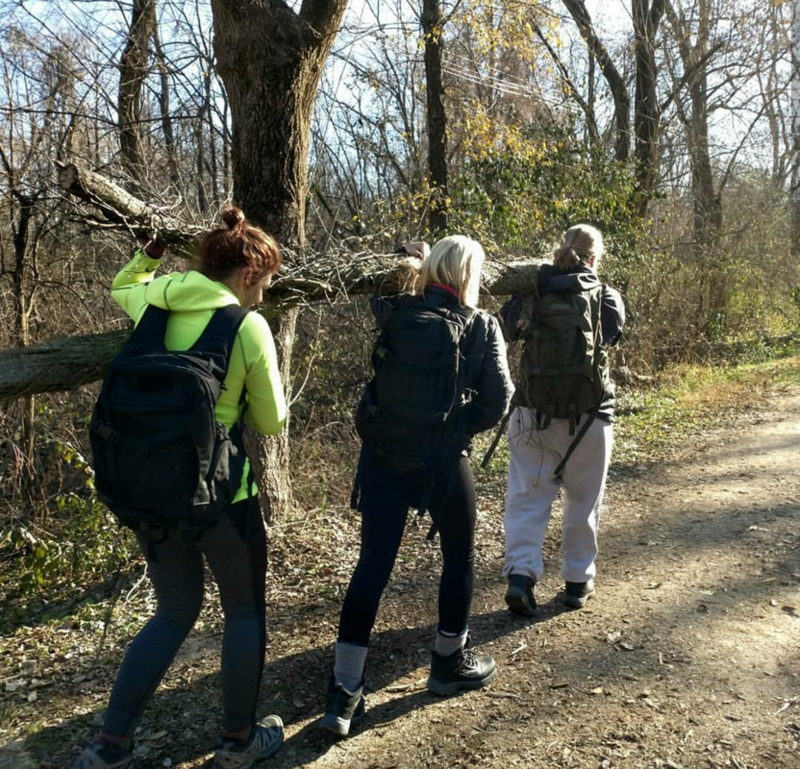 Whether you're just looking for a way to start getting in shape or want to add something new to your training program to bring it to the next level, rucking is for you. So all you need to get started is the outdoors, a GORUCK rucksack or a backpack and some weights! How do I join the JZTrainedme Fitness Ruck Club? Joining the JZTrainedme Fitness Ruck Club is easy and it's FREE! Just click here to join the JZTrainedme Fitness Ruck Club. Your only commitment to remain an active member of the club is to complete at least one ruckwalk with our club per month (but once you get started...you'll want to do more...I guarantee it!). Rucks are on a drop-in basis only, so you get to decide when it fits into your schedule to come ruck with us! Join the JZTrainedme Fitness Ruck Club Facebook group for specific dates. Additional ruckwalks may be offered on different days as well. Locations will all be within a 5-10 mile radius and will vary - some we can ruck to...others we will drive to and then ruck whereever the trails take us! Distance will vary based on club feedback. Beginners please note: You will have always have the option to go as far as you can but the goal is to complete the entire ruck with our group. When new members join the club, we will plot courses that give you the option to work your way up to a complete ruck. 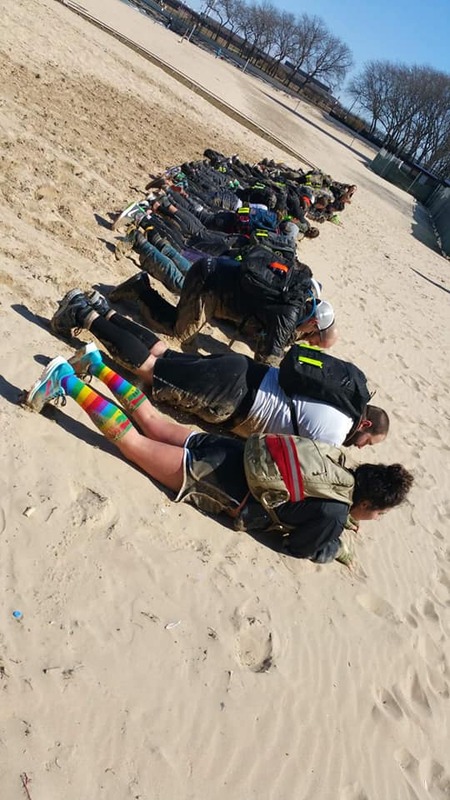 For the advanced ruckers: If the course is a short one, you can always increase your ruck weight or carry a sandbag or log to make it more challenging! GORUCK ruck plate or other weights including bricks, rocks, cans, etc. Weight is determined by each club participant. 10lbs is a great starter weight but you can always carry less or carry more - it's entirely up to you...the goal is to eventually ruck your way up in weight! My obsession with rucking began when I saw pictures on a friend's Facebook page. Having completed two Spartan Races, a few Dirty Girls and MS Walks and a lot of 5k's...I've always had this inner yearning to constantly challenge myself both physically and mentally by pushing myself beyond my own fears and limits. So, of course, I was immediately intrigued by the pictures of sitting in the water with backpacks (which looked cold), carrying logs with backpacks (which looked hard) and carrying people on their backs with backpacks (what the hell?). I asked a lot of questions, did my research and pulled the trigger by registering for the GORUCK Light in Chicago on St. Patrick's Day in March 2018 with two of my clients. It was physically hard and mentally challenging but also a lot of FUN and I earned my first patch. You can read more about that experience by visiting my blog page. When I ordered my backpack and weight plate to train for the Light...my ruck life began. What can I say...I immediately loved it! I always tell my clients about the two miracle W's - Water and Walking! So rucking took one of the most underrated exercises ever--walking--and kicked it up a notch or two or ten, by adding weight and making it much more challenging, a much better workout and a lot more FUN! Now here's the bonus...I had injured my lower back lifting in a gym about 3 years prior and without knowing ruck training would help, my back got better!!! Plus, I have turned quite a few of my clients onto rucking (former runners who have knee issues and back issues) and they said the same! Not to mention, rucking has provided me and my clients with a safer, less injury prone alternative to running. No matter how you look at it...Rucking is a WIN-WIN! 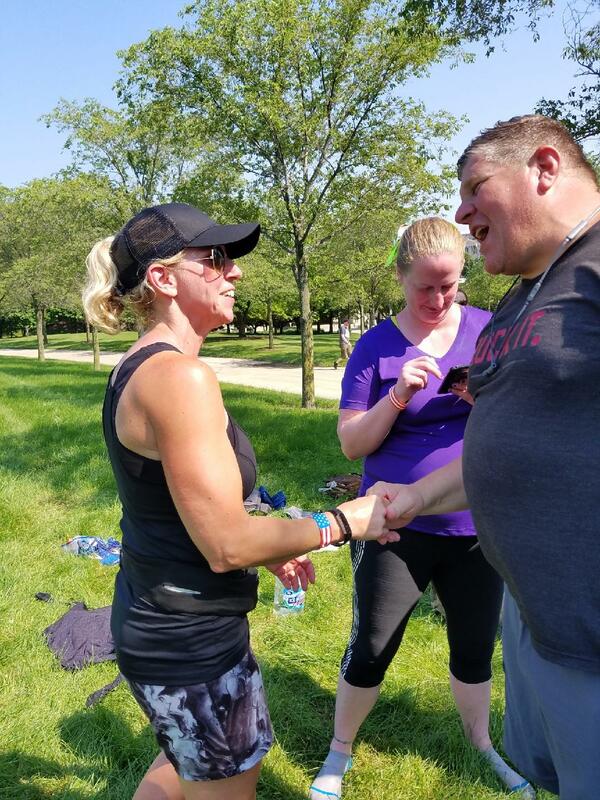 On June 16, 2018, just a couple weeks shy of my 47th birthday, I completed the GORUCK 50 mile Star Course in Chicago with one of my clients. The longest distance I had ever gone prior to that, running or walking was 8 miles. During my training for the Star Course, the longest ruckwalk I did was 16 miles. Eighteen hours and 48 minutes later...I did it, I walked the equivalent of 2 marathons in the rain and the heat!!! It was extremely difficult, mentally challenging, physically exhausting but so much FUN and I earned my second patch! Yes I said FUN again (are you noticing a pattern here)! What an amazing accomplishment to have under my belt. In fact, I enjoyed it so much, I've signed up for two more Star Courses in 2019! I know how much rucking has changed my life for the better and the lives of my clients as well, so when I researched about starting a ruck club, I was so happy to discover there are ruck clubs all over the nation. 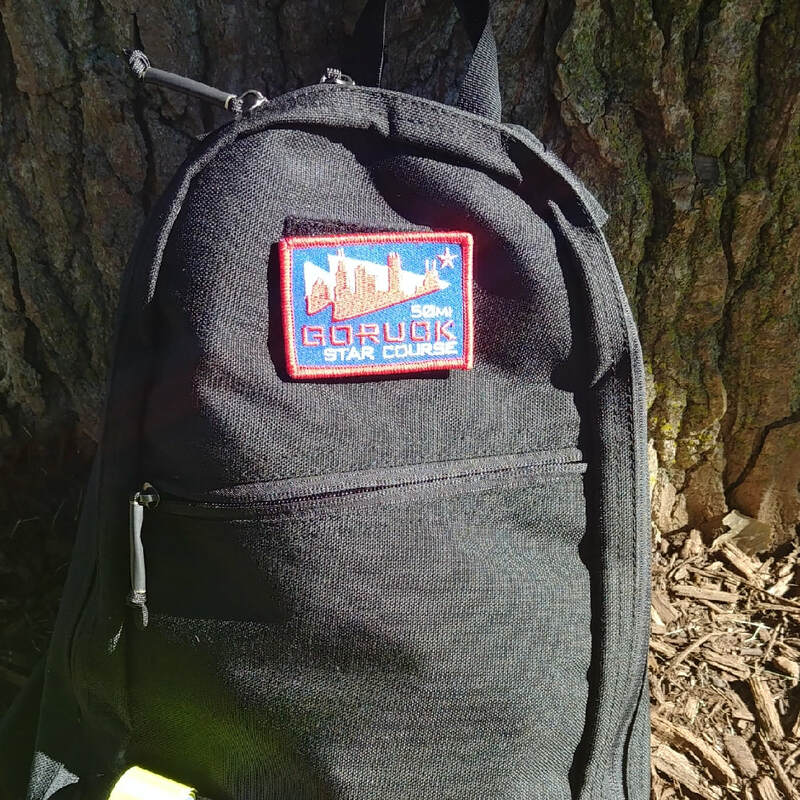 I am beyond honored and excited to partner with GORUCK to introduce the ruck life to my community and others and help them discover the many benefits rucking has to offer on a physical and mental level. I'm a rucker for life and my goal is for you to join the club too! "I used to run, however, due to a car accident resulting in two back surgeries, running is not recommended by my doctor. 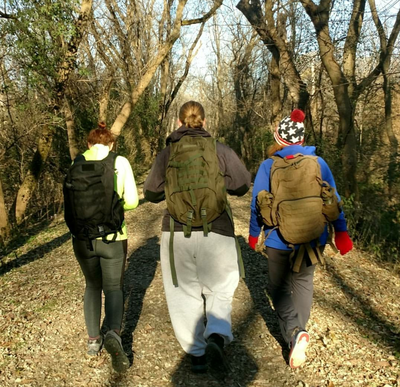 I was introduced to rucking and love it...so much easier on the body." 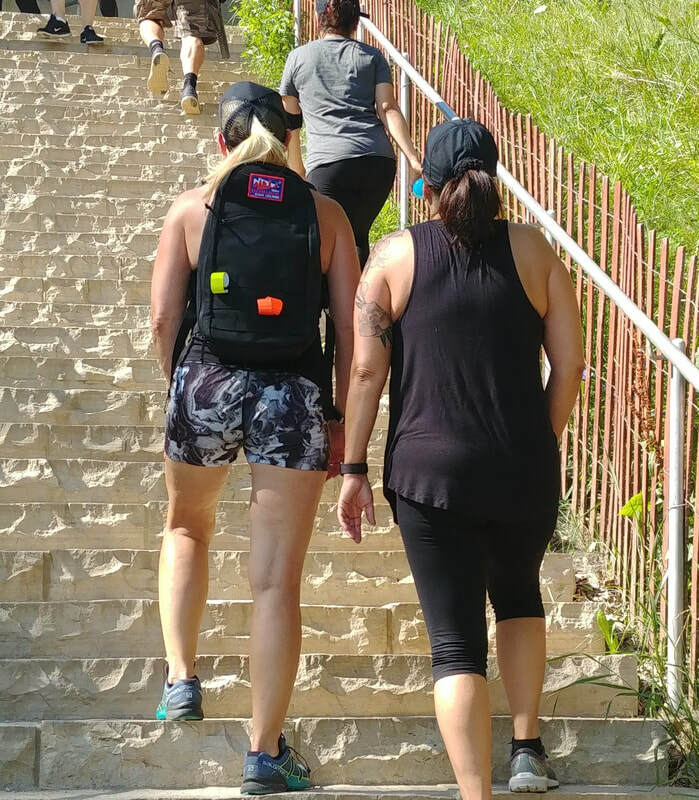 --Lisa K.
"I like rucking for the reason that it makes the walk so much more of a challenge plus you get extra calorie burn." -- Lori R.
"I like rucking because it seems like you're not really working out but the next day you feel like you got a great workout in and you can talk while you walk." --LeAnn A. "I like rucking because you can be outside, it gives you an alternative to a gym and it's not high impact; talking with the group can be good for bonding." 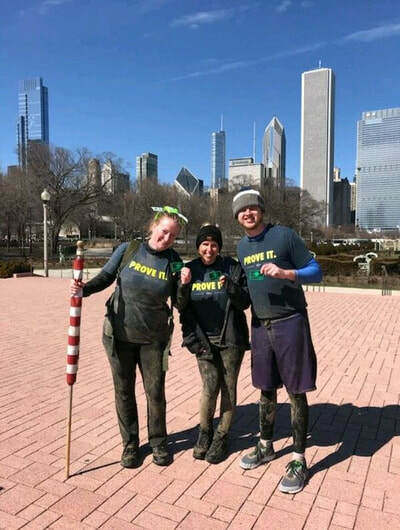 --Anne S.
Maureen, Brett and I showing off our GORUCK Light St. Patrick's Day Patches. Low bear crawls in the sand after we submerged in Lake Michigan. The sand was warm...the sand was good! 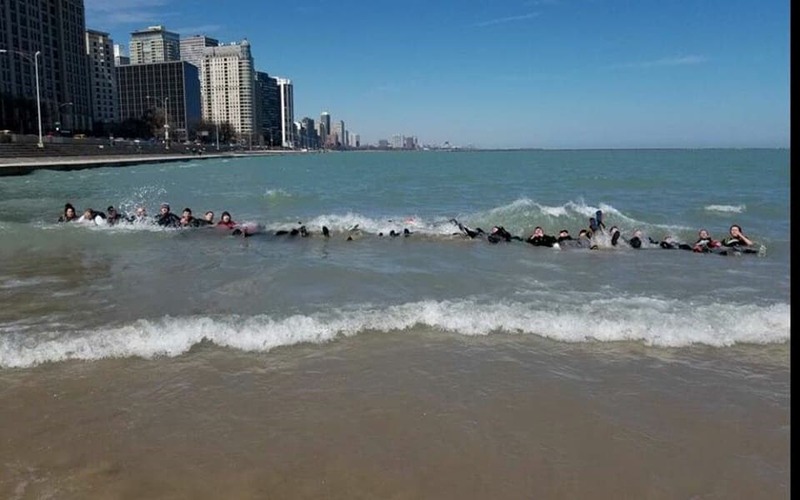 Our entire team fully submerging in Lake Michigan. The water was 35 degrees...cold is an understatement but we did it! Colleen, Maureen and Lori rucking on Thanksgiving Day! Colleen, Maureen and me rucking with a log on Thanksgiving Day! Brett and I at the finish line of the Star Course 50 Miler in Chicago! My GORUCK Star Course 50 Miler Patch! Ruck Yeah!!!! It was an honor to shake Big Daddy's hand after earning my Star Course patch! Rucking the Swallow Cliff Stairs!